When I send new messages from the shared mailbox, the default address is my own address, not the shared mailbox address and I need to select the shared mailbox as From address. Other accounts default to using their own address. How can I set the shared mailbox account as default 'From address'? 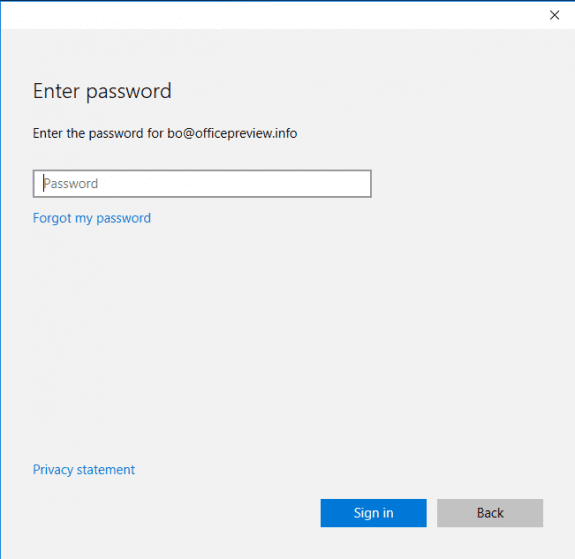 Outlook will use the address assigned to the currently selected mailbox or data file as the default address if it is configured as an account in File, Account Settings. Because a shared account is a secondary account in your profile, Outlook won’t use that address by default when viewing the mailbox. The only way to get around this is to add the shared mailbox to your profile as a mailbox. There can be issues if you have delegate permissions on the shared mailbox or it’s automapped (eg, is added to your profile automatically), so you or your admin will need remove delegate permissions or disable automapping before you add it to your profile. To avoid these problems, create a new profile for the shared mailbox instead. If the mailbox is added using the Open Additional mailbox command in Account Settings, remove the mailbox from your profile in File, Account Settings, More Settings, Advanced. 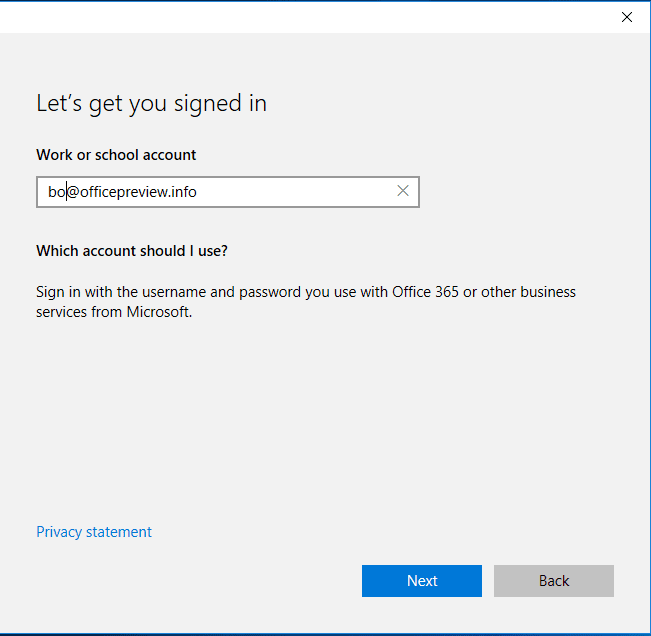 Use these steps with the new, "simplified account dialog". Outlook will close; click on your Outlook shortcut to reopen it. After the wizard finishes, open Outlook using this profile. Use these steps with older versions of Outlook or with the Manage Profiles option in Outlook 2016 and newer. Close Outlook and open Control panel then search for Mail. Click New to add a new account to your profile. Type in the email address of the shared mailbox and anything for the password. After autodiscover finds the account, the password dialog will come up. After the wizard finishes, reopen Outlook. Outlook will now treat it like any other folder. When you send new mail while viewing the folder, Outlook will send it from the account. This video shows how to create a new profile for a shared mailbox using the method for older versions of Outlook. With the exception of creating a new profile, the steps are the same to add the account to an existing profile (if the shared mailbox is not automapped). You must have FullAccess permissions on the account for this to work. If you are unable to use a new profile, one of the following tools can be used to set the correct reply address automatically. ChooseFromOWA for Microsoft Exchange 2007/2010 application allows users to send a message with any of their own SMTP addresses as the From address. Outlook COM add-in that lets you automatically insert in the "From:" or "Have replies sent to:" field any address/alias that you need for each outgoing message. If you're mainly concerned with getting From right when replying to mail from another user's Exchange mailbox, RightFrom, from the same author, would be more appropriate. This utility allows an Outlook user the ability to easily select the From address of the new, replied or forwarded message. The message can be replied with the same From address as original message has been sent to. You can also set a different signature for each e-mail address. SmartReply 2010 is a utility for Exchange Server users who need to send email using different addresses. This utility provides an Outlook user with the ability to easily select the From address of the new, replied or forwarded message. The message can be replied with the same From address as original message has been sent to. Also you can set a different signature for each e-mail address. Supports Office 365 Exchange Online. too much work. just add your AD account in the "Send As" delegation for the mailbox. To use the method on this page, you need to have send as permission on the mailbox already, as your account will be logging into the mailbox. You would use this method if you need to send a mail merge from the shared mailbox or are sending from another application (such as quickbooks) or need to have the shared account set as default account. I moved from G-Mail Suite to Office 365 and the shared Mailbox Auto-Map was just painful. I also had a MS Access 2016 Application that needed to send emails as the shared mailbox (previously with G-Mail it was not). Now everything is working perfectly. It seems that Outlook is more stable now as well. I seem to be having the opposite problem of the rest of the internet. every time a user replies to an email from a newly created shared mailbox it attempts to reply as the shared mailbox, not as them - and they don't have permission to do that (nor do I want them to). We plan to use this mailbox as a issue alert system. Everyone will have it and we can have conversational views to keep updates in order and in a single place. But I need to know who is adding their two cents when they reply, and currently the users will have to manually choose themselves, as the shared mailbox is the default reply address. We have Exchange 2010, with Outlook 2013 and the users have only their own mail profile with the shared mailbox being added as "Additional Mailboxes" in their account settings. Is-it possible to script the adding of shared mailbox as a mailbox? the purpose is to deploye this option for a large of users. Thanks a lot for your help and I wish you a very new year 2017. If the shared mailbox is enabled for automapping, it will be added to the users profile automatically. If you need it added as a separate profile, you might be able to using the office customization tool. Adding the shared mailbox to the profile as a mailbox is a good solution but is there a way to do that by script or any automatically way as I must do that for over 1500 users :( . Thank's Diane for your help. It's much appreciate. https://technet.microsoft.com/en-us/library/cc179097.aspx has information about the tool. Hi I've done this same thing we are on office 365 and I've set up a shared mailbox that way, it works fine when its done but then after a few restarts of the computer and outlook its falling over and messages you send stay in outbox and says outlook data file cannot be accessed. Did it where you add an additional account on to an existing one as the other way is not really a good option for us. If you are adding it as an email account you need to make sure automapping is not enabled (if the account shows up in the profile automatically after adding your own account, it's automapped). It should also not be added as a additional account in Account Settings > double click on your account then More Settings. The account should only be added to the profile once. You also need send as permission on the shared mailbox. Adding it as a second email account in the account list will create a separate cached data file for the shared account. New messages will use the Shared account - you don't need to add the address to the from field. Thanks for the valuable writeup. For our small-business office setup, as part of office365 mail setup (Small Business Premium), we were badly looking for a solution and came across this page that met our requirements and solved one of our major setup issues. (May be solution is existing in Microsoft pages that we could not find out). Is there any way to set the default Reply To email programmatically? I have an application where I send Word docs using the Envelope object, which has only a small set of properties, not including SentOnBehalfOf. These documents need a different Reply To email. If I could programmatically change the default Reply To email, send the document, then set it back to the usual value, that would work. If you wanted to use an itemsend macro, you'd use this - but it would apply to all mail unless you added an if statement to filter it. I tried the ReplyRecipients property just in case, and got an Invalid procedure call or argument error. i don't have a database set up or the full code, so i can't test it fully (plus i'm on vacation :)), but this code works in word & sets the reply to address- it *should* work from Access too as long as the other fields work. Are you getting the reply to from a field? I wonder if it's not resolving? ActiveDocument.MailEnvelope.Introduction = "Customer Project Reminder"
I tried this both with a hard-coded reply address and one picked up from a custom database property (that is what I am using). There were no errors, but the email did not have the right address in the From field (just my email address). I will keep testing to see if SentOnBehalfOfName is reliable. So you wanted the sender address changed, not the reply to address? Sorry for misunderstanding. SendonBehalfof is reliable, although it can depend on the account type - if using exchange, you need the correct permission on the address. if you display the address, do so after you set the From address. Actually, I was just trying anything that would get the recipient's replies to go to a certain address. I think the original problem was that I used SentOnBehalfOf (no errors, but it didn't work). Then I looked it up in the Object Browser (should have done that first) and changed it to SentOnBehalfOfName, and that did work! Thanks for your help. The Microsoft documentation on the EnvelopeItem (such as it is) is skimpy and inaccurate. It is a good thing we have Slipstick to turn to for sound advice. Have the same problem. Need to insert programmatically "travma1@domain.com" into field "Reply-to". But i so far away from "coding". Which code and where i have to insert to permanently send emails from PC with mailbox "user1@domain.com" which is a member of shared mailbox "travma1@domain.com". you use the ReplyRecipients field in add recipients code.